PORTLAND, Ore. – Better native fish habitat. Cleaner water. 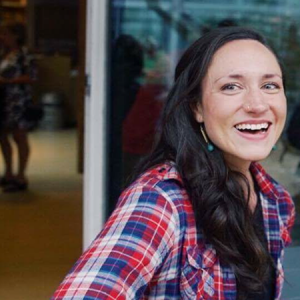 Those will be among the results of a $64,000 grant The Freshwater Trust, a nonprofit freshwater conservation group based in Portland, has received from Wells Fargo’s Environmental Solutions for Communities grant program. The gift is part of the $2.56 million Wells Fargo is giving this year to 61 nonprofit groups in 22 states to support land and water conservation, energy efficiency and broad-based citizen participation in communities where Wells Fargo customers and team members live and work. 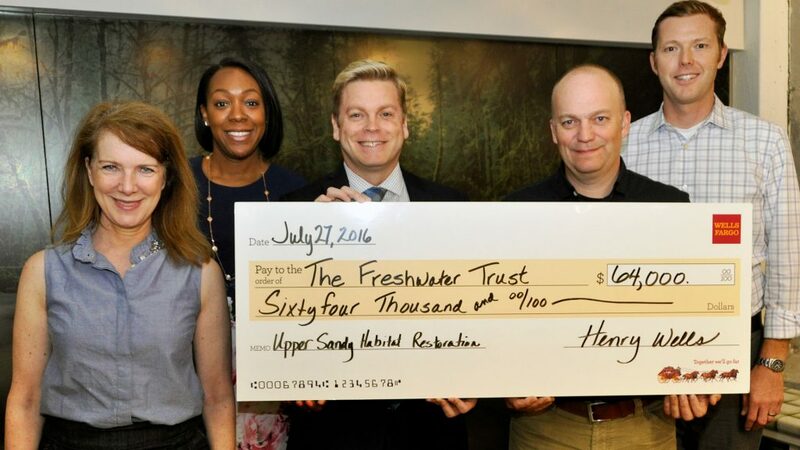 The Freshwater Trust will use the funds to support its ongoing, multi-year effort to improve and protect the Sandy River watershed by restoring ecologically significant fish habitat in the Salmon River and Still Creek. The Sandy basin spans more than 500 square miles, and encompasses the Bull Run watershed, which provides drinking water for more than 900,000 Oregonians. While the Sandy River and its tributaries still offer critical habitat for salmon and steelhead, populations have plummeted over the last century. Sandy basin chinook, coho and winter steelhead are listed as threatened under the federal Endangered Species Act. The Freshwater Trust has partnered with the U.S. Forest Service and the Bureau of Land Management to lead the Upper Sandy River Basin Habitat Restoration Project on behalf of the Sandy River Basin Partners, a group of public and private organizations collaborating to make vital improvements for the watershed. The Freshwater Trust employs what it calls a “quantified” approach to conservation. Blending science, technology, policy and finance, the organization works to ensure every restoration action translates into a positive and measurable outcome for the environment. Wells Fargo’s Environmental Solutions for Communities grant program has been a five-year, $15-million collaboration with National Fish and Wildlife Foundation. Launched in 2012, the program has made 267 grants to local nonprofit groups to promote environmental stewardship and strengthen communities across the United States. Over the life of the five-year program, the grants have funded 312 projects. They have restored more than 83,000 acres of habitat, planted almost a million trees and engaged hundreds of thousands of community members in environmental protection activities nationwide. Serving Oregonians since 1852, Wells Fargo & Company (NYSE: WFC) is a nationwide, diversified, community-based financial services company with $1.9 trillion in assets. Wells Fargo provides banking, insurance, investments, mortgage, and consumer and commercial finance through 8,600 locations; 13,000 ATMs; the internet (wellsfargo.com); and mobile banking. In 2015 The Banker magazine named Wells Fargo the best bank in the world, based on its financial strength, culture and leadership.